The fact that we,subhAAkritee, are looked upon as one among the best Interior Decorators In Kolkata,as well as top interior designers in New Town kolkata,Rajarhat ,South Kolkata,Howrah,Asansol,Durgapur,Digha,patna,Jamshadpur.Ranchi,Jharkhand and siliguri. and all part of India,has motivated us to offer new, imaginative and unique solutions relating to the interior designing projects. Our company aims at creating smart places for our clients that are easy, cost-effective and innovative. We are determined to deliver, simple yet path breaking interiors for our clients, however, keeping the basic essence of comfort intact. 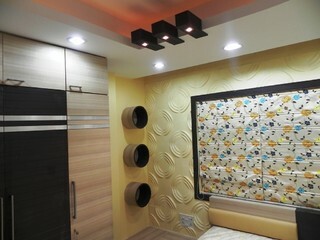 We realize the importance of hiring the services of accomplished Best Interior Designers Kolkata who can play a significant role in imparting a professional and appealing look to your premises.This will help you in excelling based on many factors such as infrastructure, neatness, showcasing etc. Not only these, interior decoration ensures you can effectively utilize the available space in systematic approach. It is not difficult for our team of experts to realize that interior decoration is not only about look and beauty of your office space. This is why; we deliver the services accordingly. We realize the fact that a customer’s impression about your establishment or your services can change by taking a look at your home or office. There is no point in believing that getting the interior space decorated is the task of a rich man. These days, a small-sized business and commercial space owners can benefit from the best services relating to the Interior Decoration In Kolkata. Being one of the oldest interior decorators we, Subhaakritee, hold the confidence to take up challenge in this field so as to be able to impart a different look.At every step along the way, we at subhAAkritee, know you will be very passionate and particular about your home’s interiors. We believe that you rightly should be and take up your home and build it up as one of our own. Our team hence sits and understands the aspects of design and psychological expectations fused with sciences such as Vastu. We ensure all of these are met whenever and wherever expected. Compact, Convenient, Classy, these are 3 major things that define Modular Kitchen setups. Modular kitchens are the newest for of kitchen setup that has internationally taken the interior design industry by storm. Instead of requiring enormous kitchen spaces to fit in all the necessary setups, modular kitchens ensure the best setups in the least spaces.These attractive setups are a favorite of our clients and we make sure that the best designs are chosen for the spaces in question. With 1000’s of designs to choose from, we ensure that the setting up is as professional as the magazine output. Our technicians are very skilled and have experience in setting up the most complex modular setups and convert 4 walls and a sink into a beautiful yet sophisticated kitchen for both cooking enthusiasts as well as occasional visitors. We at SubhAAkritee make sure the executions are of international quality and standard. Some of our best work has been done for personal residencies in Kolkata. Our goal is to not just design and construct, but to be efficient in providing home and office construction and décor solutions for best in market prices. Focus shall be on customer and customer requirements only. SubhAAkriteeis a 17-year-old interior design and development firm that has its roots firmly fixed in Kolkata. In addition to domestic properties, it has been a part of the corporate revolution of the city since inception. SubhAAkritee and successfully built some of the largest and best offices the city has to provide. We provide best in class services at affordable rates ensuring money is never a factor for quality work. Our professional outlook fused with the intense understanding of an office owner and what is the kind of culture they want to imbibe in the workers on the basis of the design element. In Kolkata, we have provided some of the best services that for both domestic as well as commercial clients. Our Kolkata team makes sure that our customers associate with us and leave us with a smile on their faces right through. To ensure a the best outputs, the team at SubhAAkriti studies the needs and focuses on the best possible outcomes post a recce of the venue. Only after the umbrella plan is truly appreciated by the client shall we take steps ahead in performing tasks that make these plans a reality. Are you redoing your bathroom? Simplistic or small touches additions can give your bathroom including the bathroom faucets a personalized touch. The behaviour in which luxurious bathroom accessories, drapery, and curtains can improve the overall décor of your bathroom, even some of the bathroom faucets and its accessories can decorate the entire look of your bathroom. Interior decoration a little bedroom is as much entertaining as operational with one which is holy with plenty room. In reality, for people that have a hint of imagination and creativity for pulling out the ingenious, it gives a far greater opportunity to showcase their imagination and style. Are you thinking about Interior design and decoration of your home, remodelling or full house designs? SubhAAkritee is verified professionals services provider over 17 years. 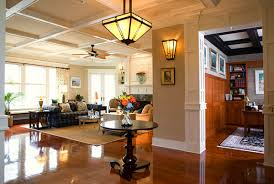 Offer complete turnkey solution of #Interior design and decoration services. Complete makeover with 2D,3D Designs view. Visit website views our portfolios & Hire. Personalized design, detailing and use of equipment are what make custom made furniture exceptional as compared to premade options. Whether you want your coffee table to be shaped from wood or metal, the sofa upholstery done in cotton or silk, the right amount of figure, polishing, etc is all fashioned on an individual scale for a unique piece of furniture.